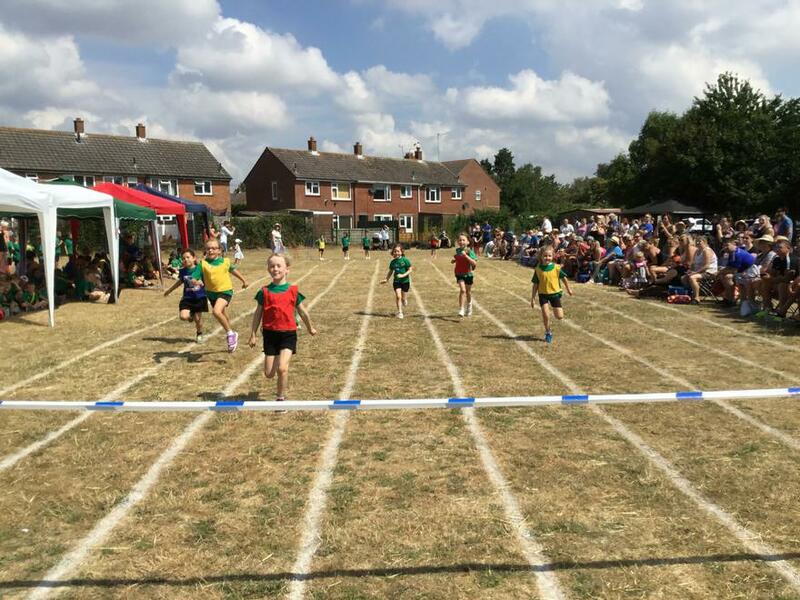 What a lovely sunny day we had for our Sports day on Thursday. 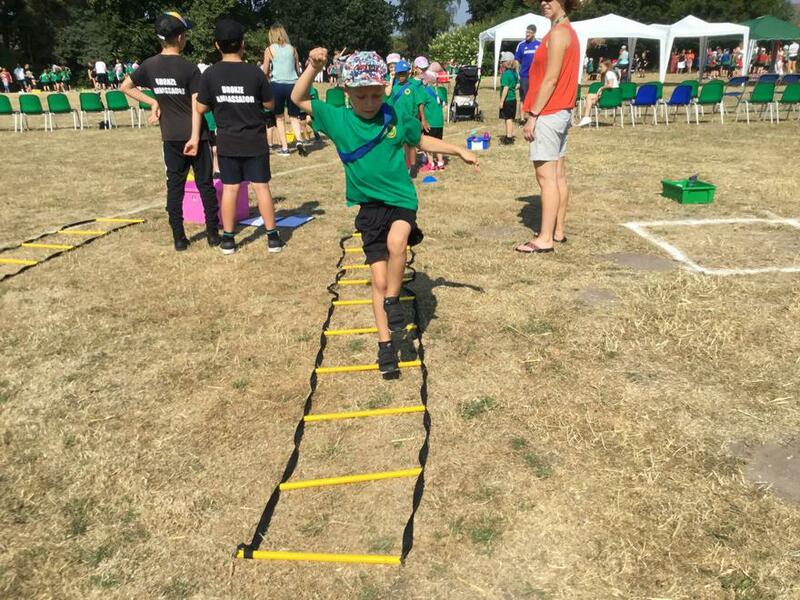 The children had a great time taking part in lots of activities including egg and spoon, agility ladder, hurdles, basketball shoot, soft javelin, running noughts and crosses and much more! 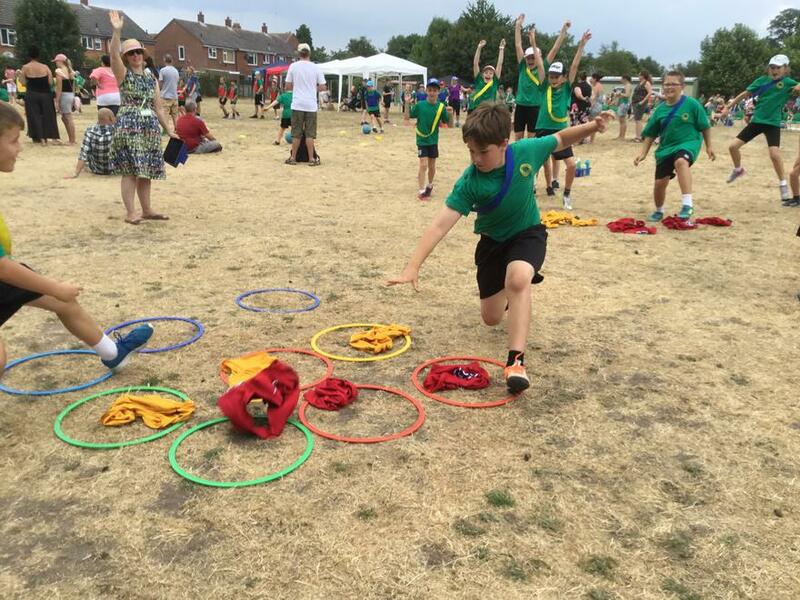 We finished the event with running races and relay races. Congratulations on Europe for gaining the most points for ability and demonstrating our sporting values. 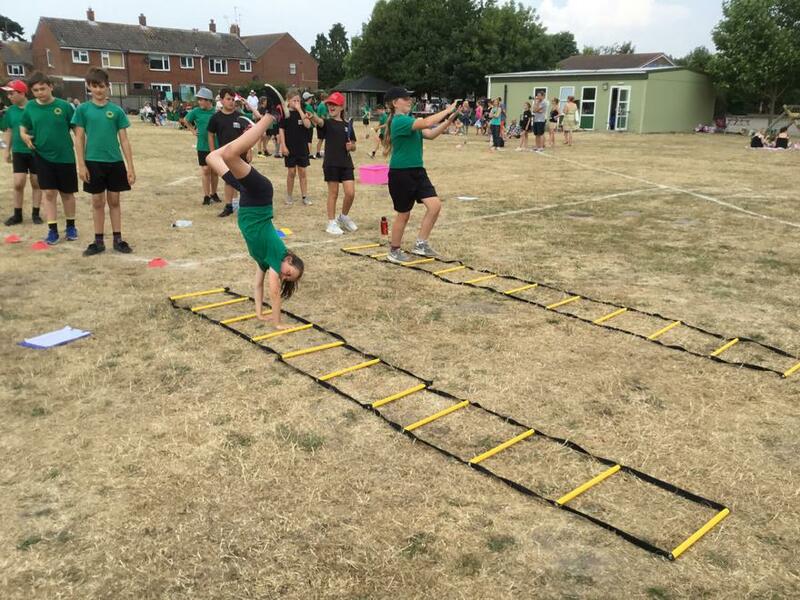 A big thank you to our Sports Leaders and Y11 students from The Grange who ran all our events. 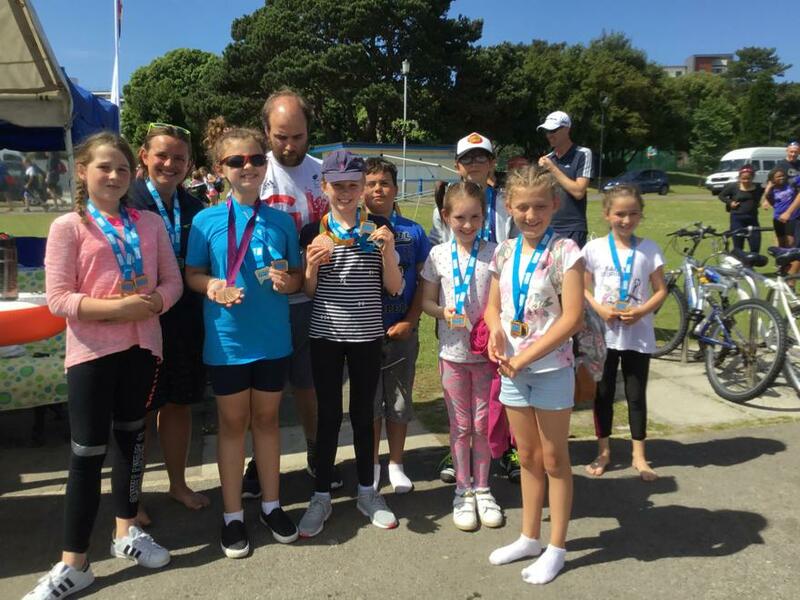 On Monday 11th of June we took part in the Can Do Watersports event at Poole Park. The weather was fantastic. 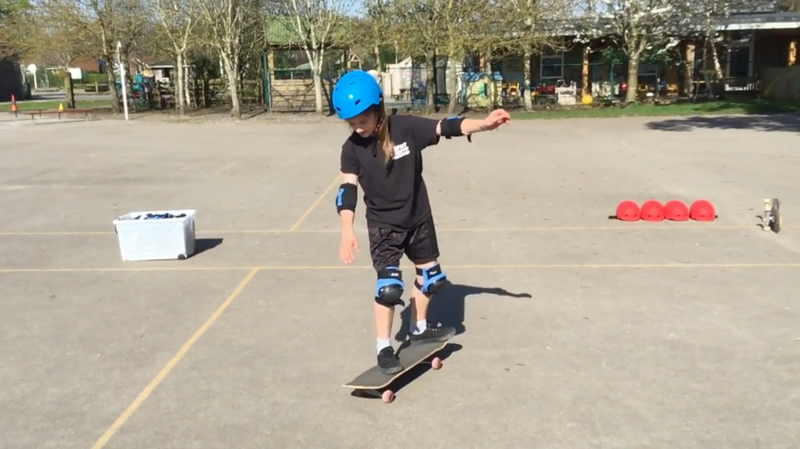 Holly, Noah, Rhys, Grace, Josie, Ellie, Anna and Crystal took part. First we learnt to sail in a Pico and then we went out in 2 man kayaks. In the afternoon we took part in kayak races around the island. 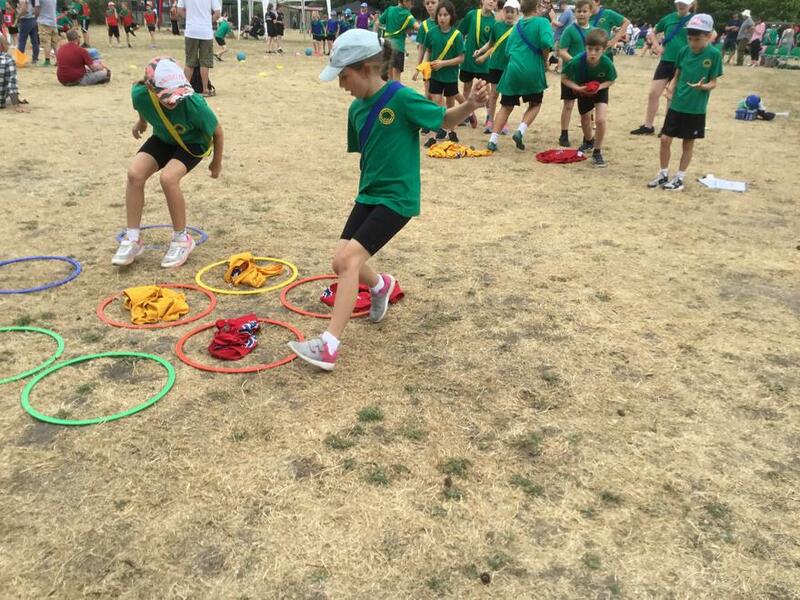 We also did land based games. 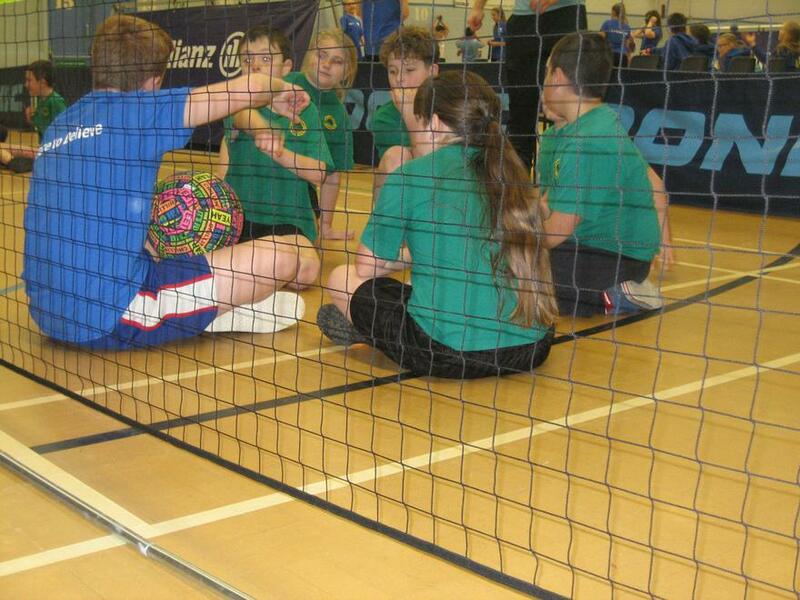 There were 18 schools who took part from all over South Dorset. Rhys and Noah, Josie and Ellie and Holly and Josie came second in their races and as a result we came third school overall. 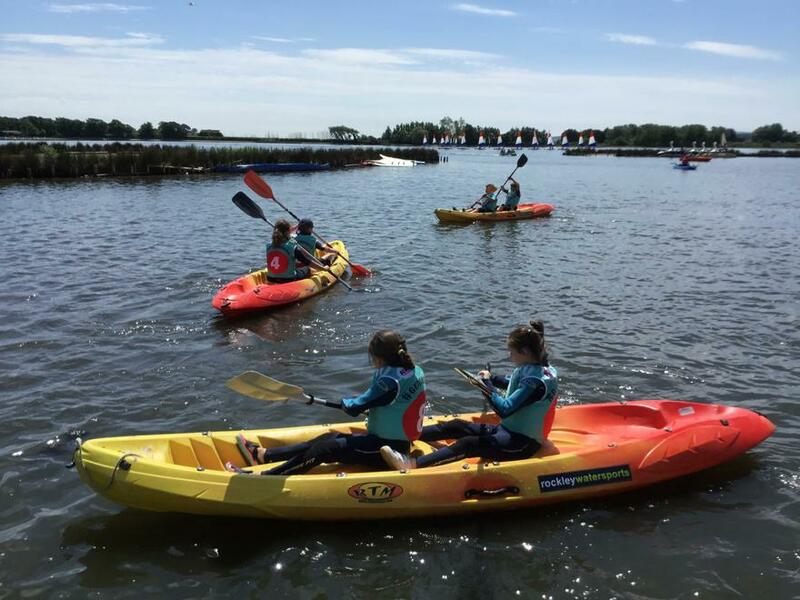 Well done Burton Primary school and thank you to Rockley Watersports and all their students for organising a fun event. 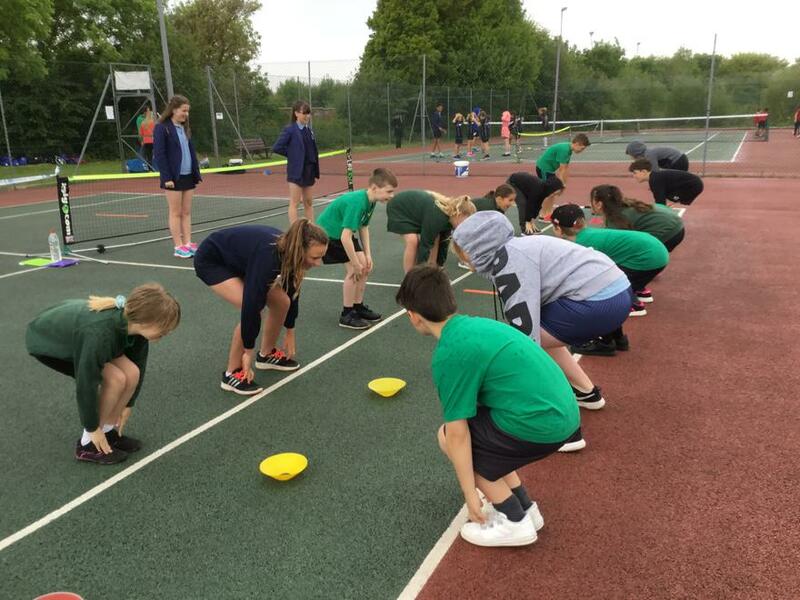 On Friday 8 th June 16 Y1/2 children took part in a Multi-skills tournament at The Grange organised by Mr Moody and his fabulous Sports Leaders. It was lovely to see so many of our old pupils who did an excellent job. 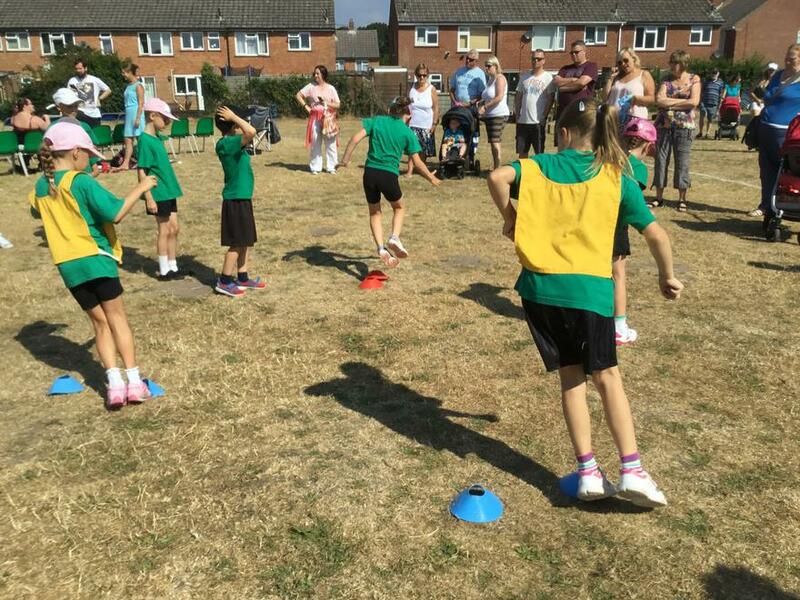 Our children had a great time and were a credit to Burton Primary School, so well done to you all. 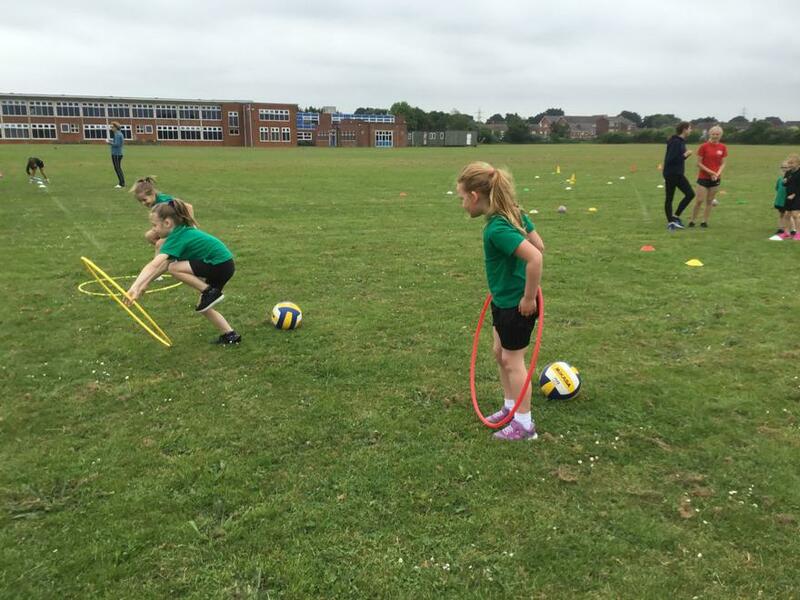 On Tuesday, 22nd May Year 4 and Year 6 took part in quadkids competition at Twynham School. 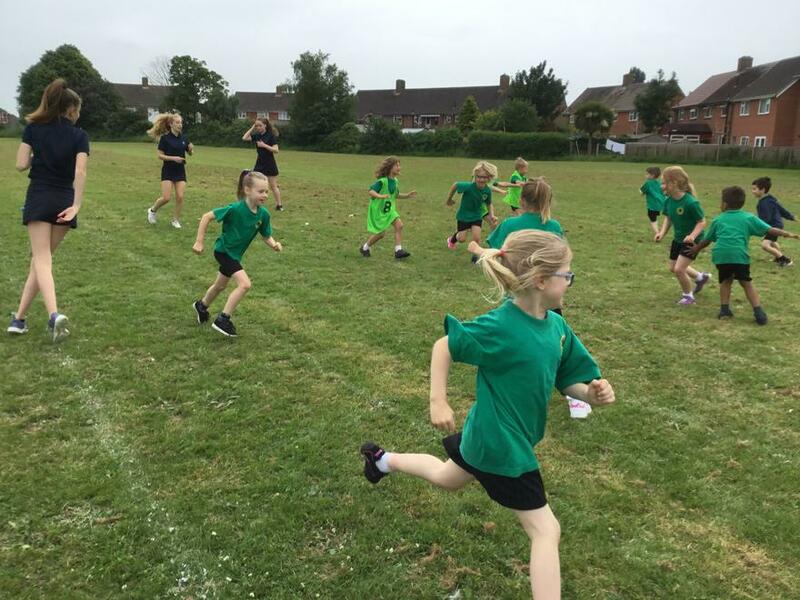 Quadkids is an athletic game which includes these activities: The Year 6's had a 600 m run and the Year 4's had a 400 m run. 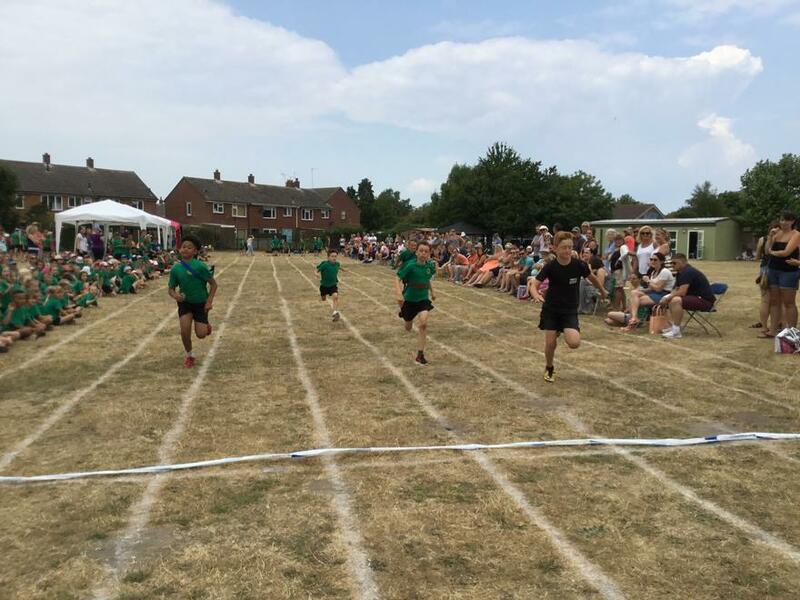 The year 6's also had a 75 m sprint and the Year 4's had a 50 m sprint. 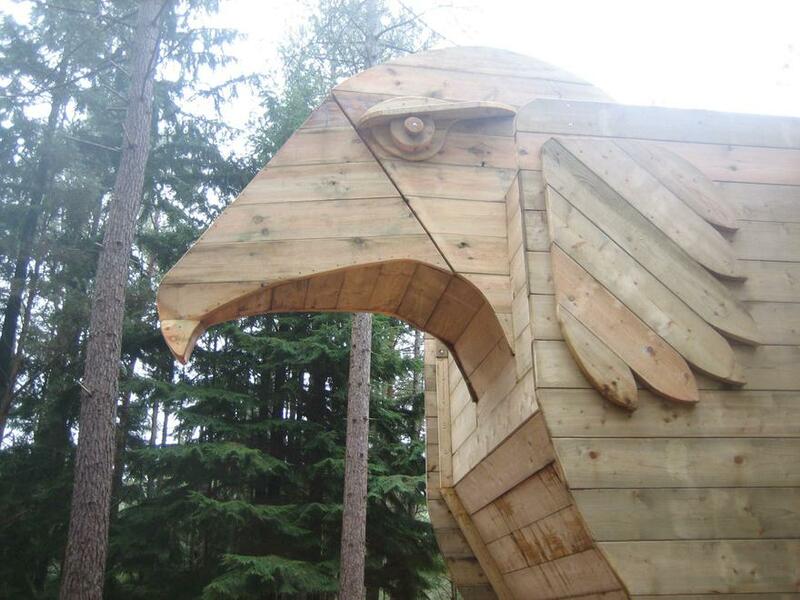 Along with that we had a howler throw and a standing long jump. 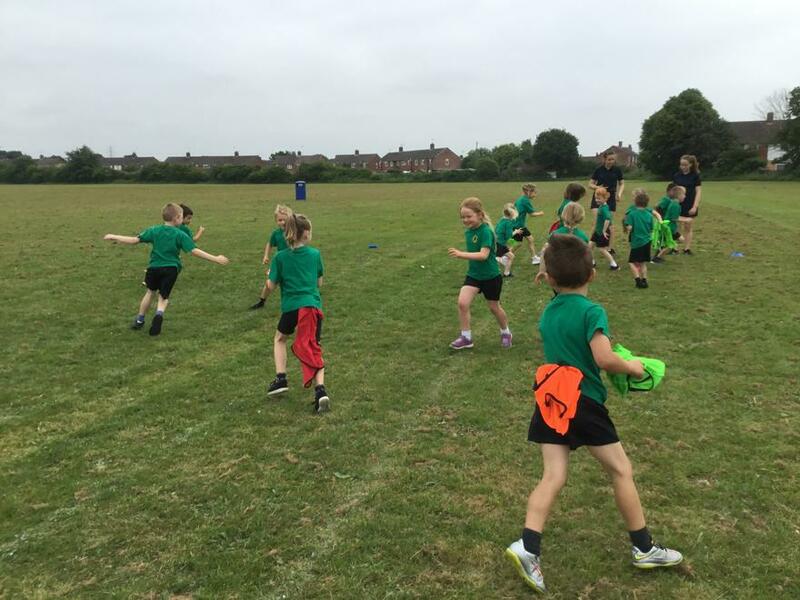 First the year 6 girls had a 600 m run, the year 4 girls had a 50 m sprint and the year 4 boys had a howler throw. 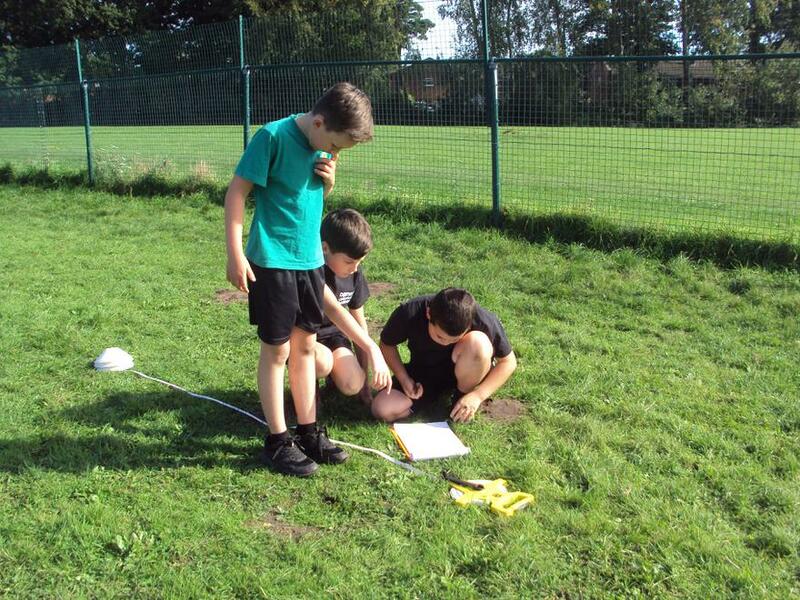 The year 6 boys had the standing long jump first. 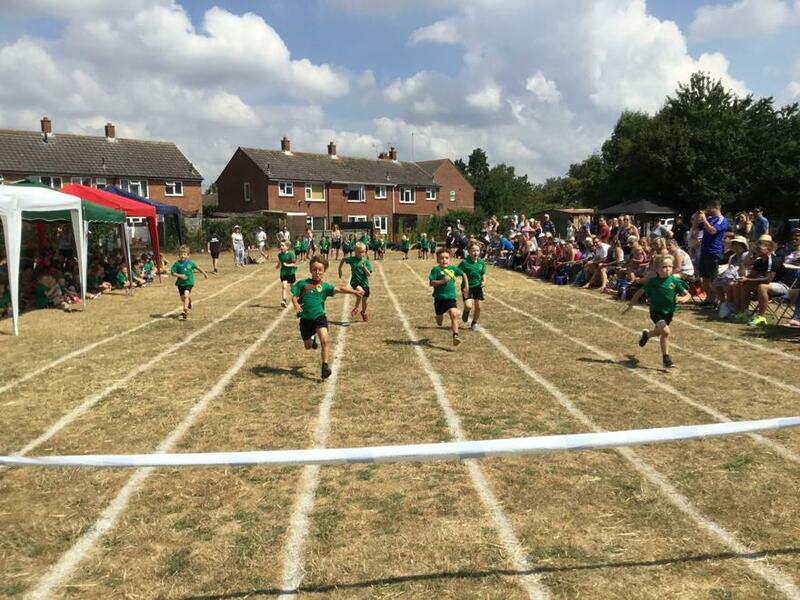 These were the results: In the year 4 group St Josephs came 1st, then Twynham, then Twynham came 3rd, 4th was St Katherines, 5th was St Katherine's too and Burton came 6th - they did really well. This was the year 6 results: 1st - St Josephs, 2nd - St Josephs, 3rd - Burton, 4th - St Katherines and 5th was St Katherines too. We were rated on how our performances were and you could get a gold, silver or bronze. Bailey and Freya got gold, Courtney got Silver and Ruby and me got bronze. Thank you Mrs Slater and Mrs Elliott for taking us. 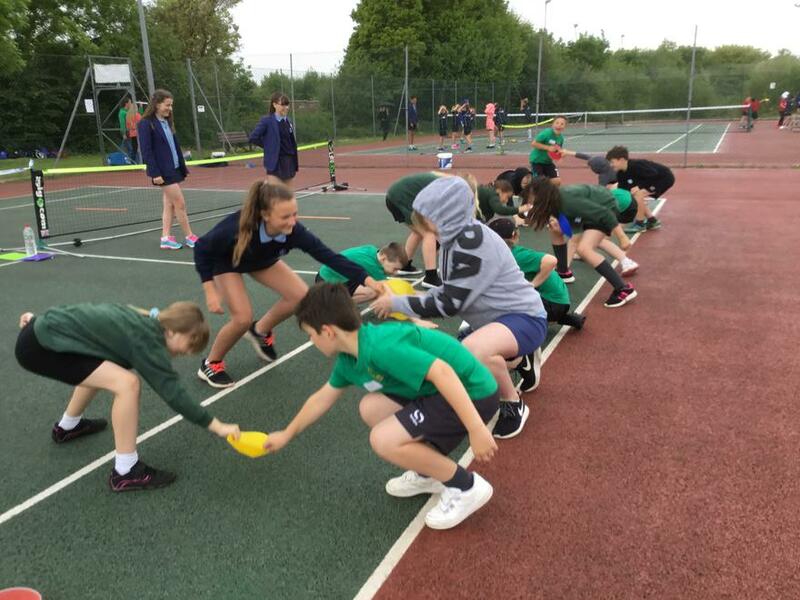 On Wednesday 16th May we took 3 teams of 4 to take part in the Y3/4 Tennis tournament at Christchurch Tennis facility. 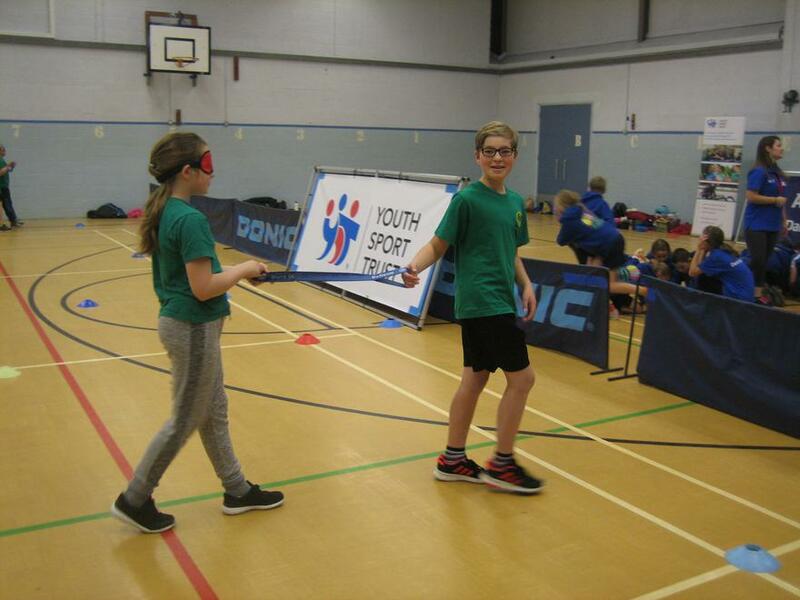 The Sports Leaders for Twyhnam school were excellent umpiring and scoring for the children. 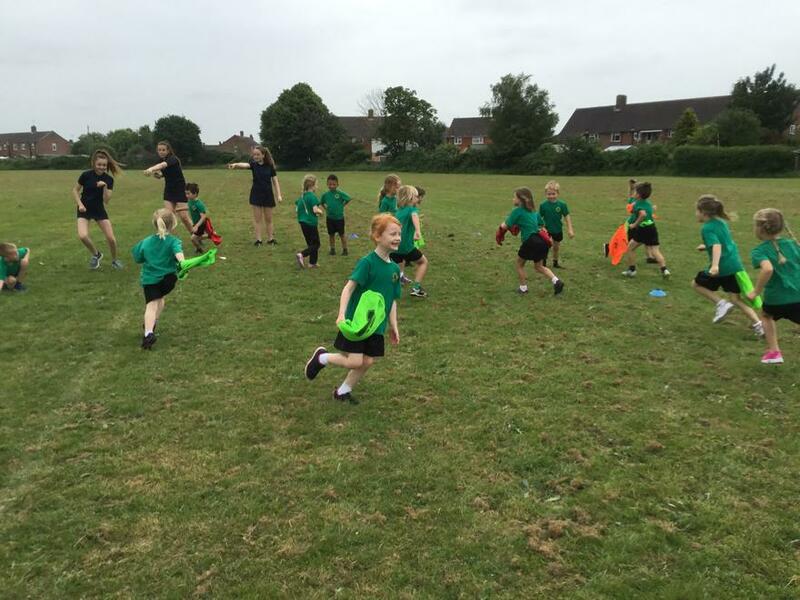 Again our children were a credit to Burton school, even coping well with a heavy down pour of rain! skateboard safely and he did a number of tricks for us. coming but also to Mrs Slater for organising it, it was very funny. 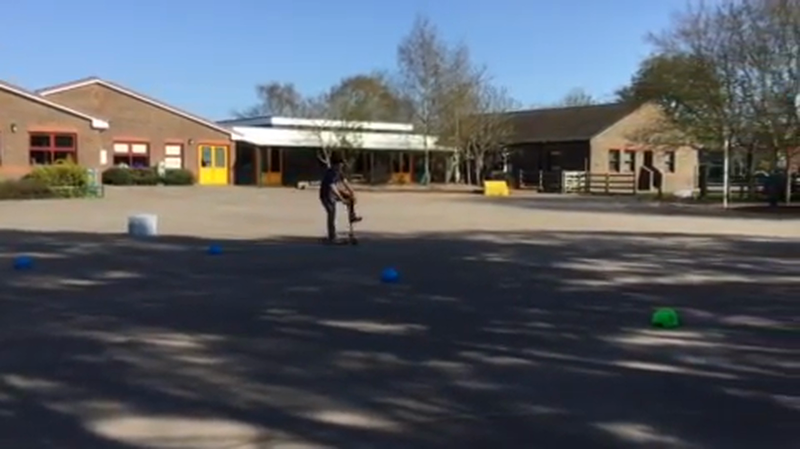 On Thursday, 28th March Burton School took part in a girls football tournament at Mudeford Junior School. 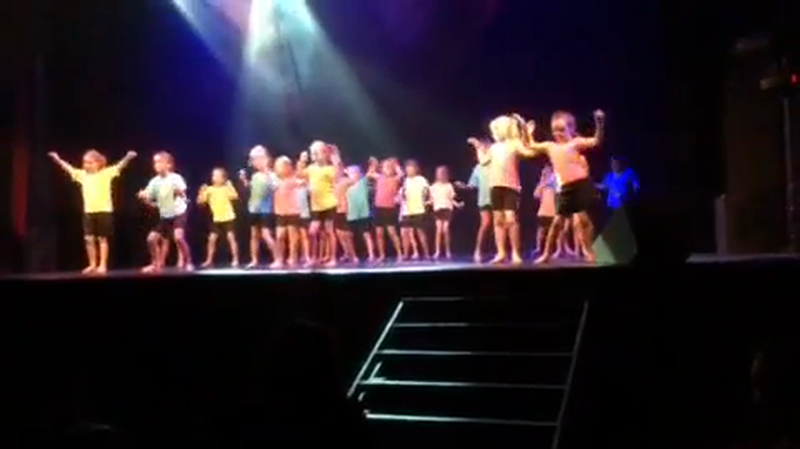 The players were Freya, Scarlett, Rebecca, Sophie, Kelsey, Ava and Ella. 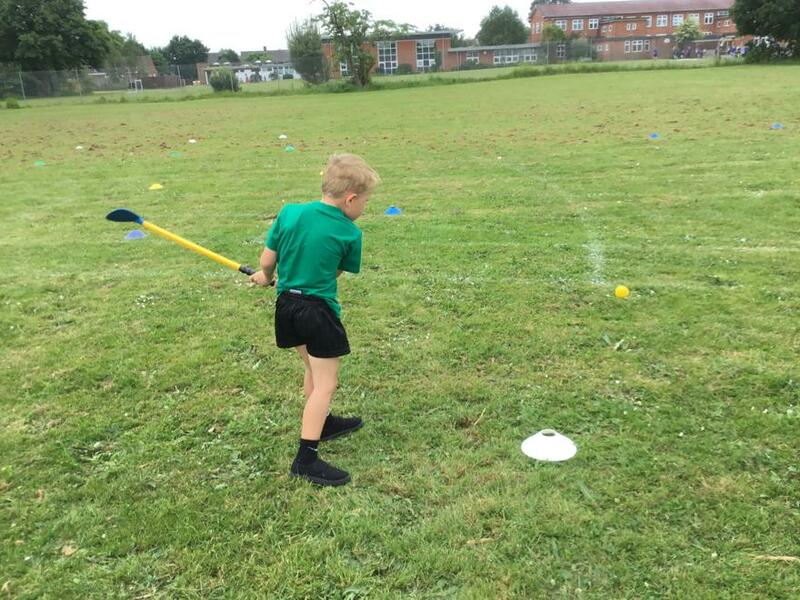 Our first match was against Mudeford Junior School. Unfortunately we lost 2-0. 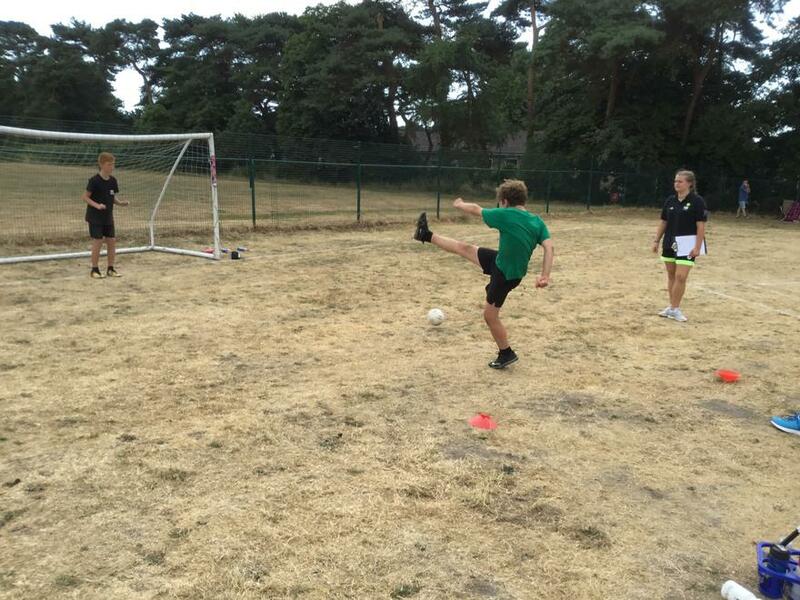 Our second match was against Highcliffe which we drew 0-0. After that we played St Josephs, which we also drew 0-0. We then played Christchurch Juniors and we drew 0-0 again. Finally we played The Priory and we won 4-0. Kelsey scored 1 goal, Freya scored 1 goal and Scarlett scored 2 goals! We would like to say a thank you to Mrs Slater for taking us and all the support that was given. In the final results we came 3rd out of 6 teams. 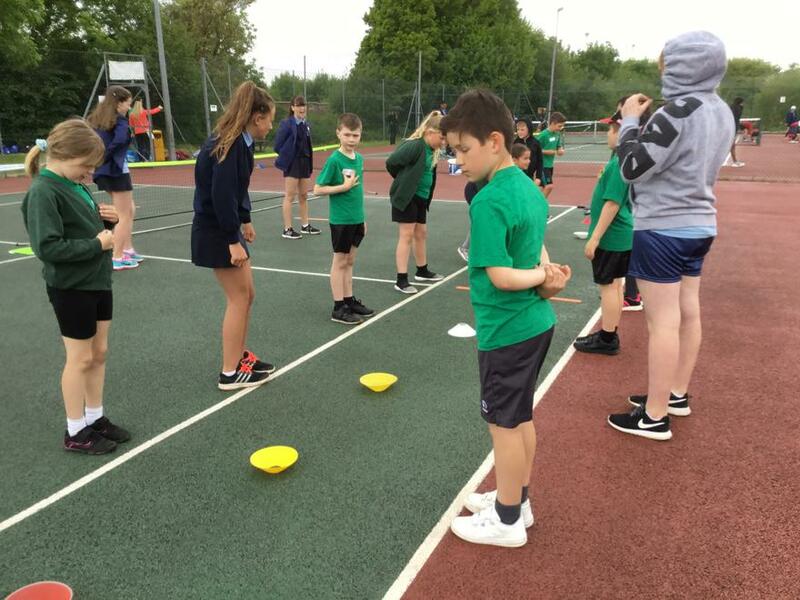 Well done to Roxy, Ella, Freyah, Archie, Emma, Tamzin, Elliot, Connor and Isabella who took part in a multi-skills event at The Grange on Monday 26th March run by their Sports Leaders. 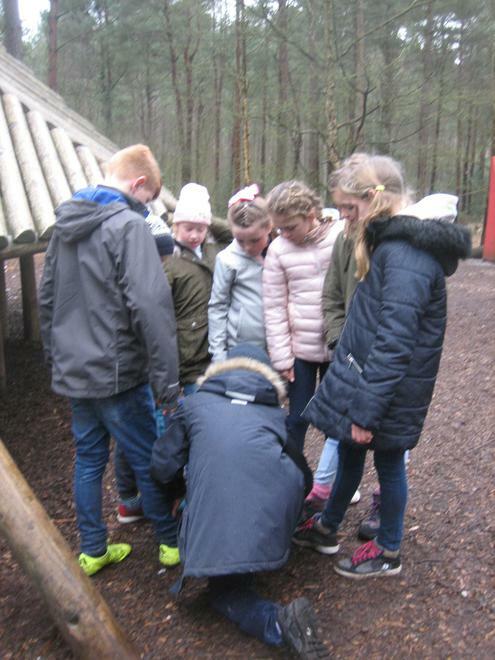 It was lovely to see so many of our past pupils in a leadership role. 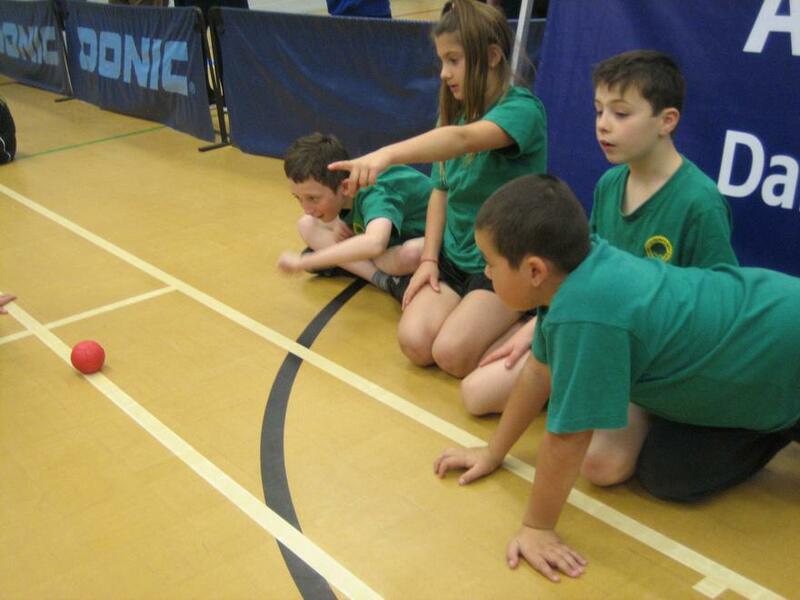 The children took part in sitting volley ball, boccia, circle games, team work games, memory activities and much more. 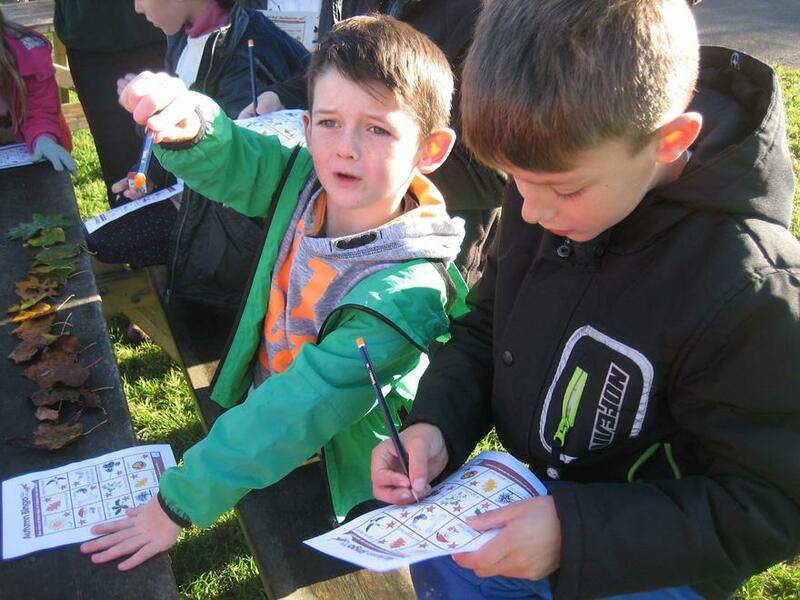 The children really enjoyed all the activities and were excellent role models for Burton School. Thank you to Mr Moody and Mr Pomeroy for organising the event. On Thursday, 22nd March 2018, Burton School played football against Christchurch Junior School. 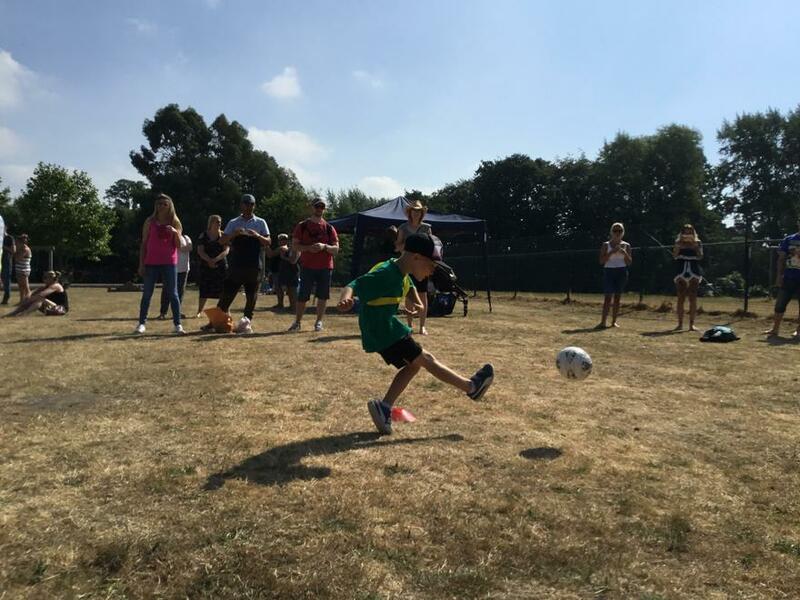 The players were: Bailey, Charlie, Johnny, Arnie, Aiden, Sidney, Harrison, Alfie, Will and Henry. In the first half we were playing well and it payed off! We scored. Aiden took a great corner and Bailed scored a top corner shot. Then it was half time. We came back on with a goal, it was Bailey! Johnny made a great save and set Bailey up for a third goal. 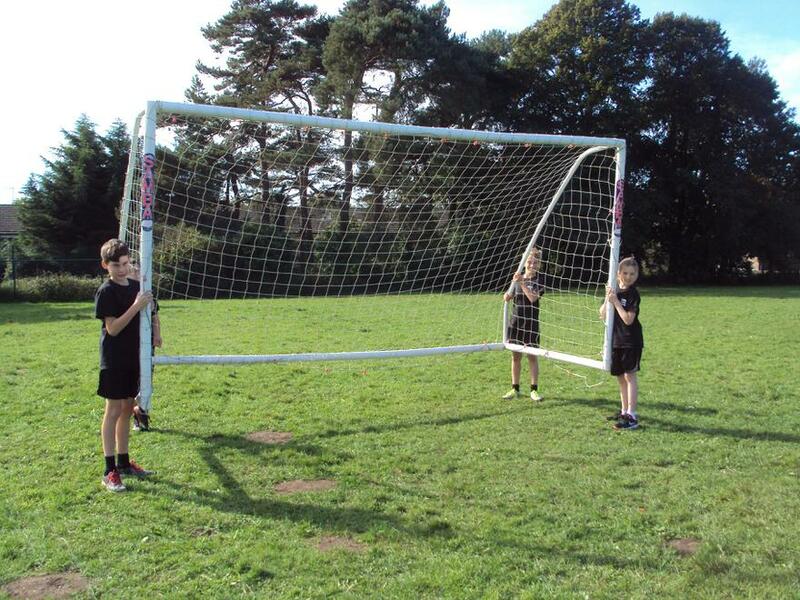 Then Christchurch Junior School had a penalty and Johnny saved it! From that the ball found Bailey and he scored again. We had the ball and scored, (Bailey yet again!). We all played brilliantly. Then the final whistle blew - we won!!!!! The scored ended 5-0 to Burton. 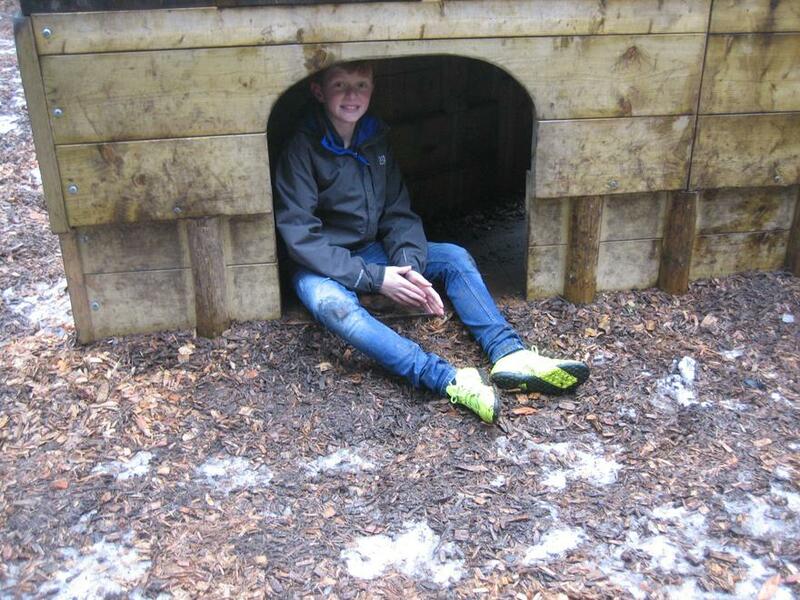 Thank you to Mrs Slater for organising it! 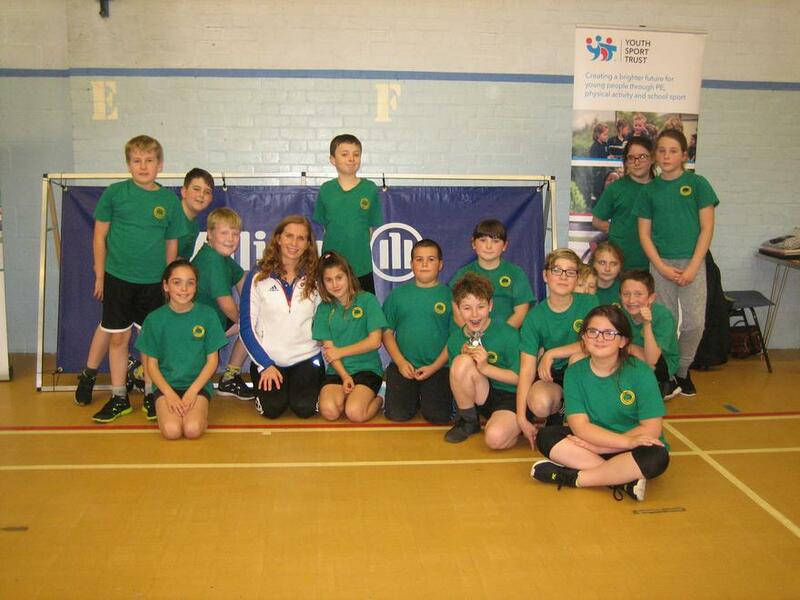 On March 15th 2018, Burton Primary School competed in a football tournament at Christchurch Junior School. 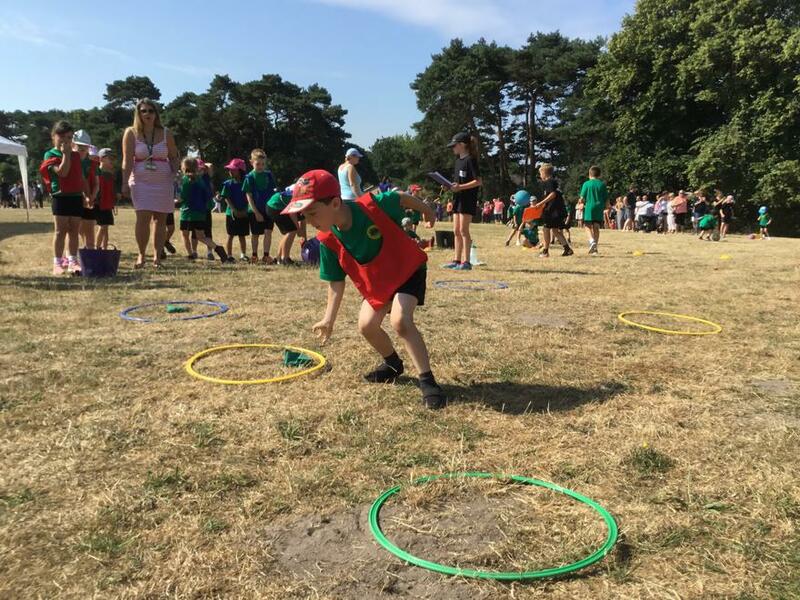 The people who took part were Ruby G, Maddie G, Luc P, Robert B, Bradley A, Max F, Scarlett P, Thomas P, Luca and Poppie H.
We had a lot of fun but sadly we lost. 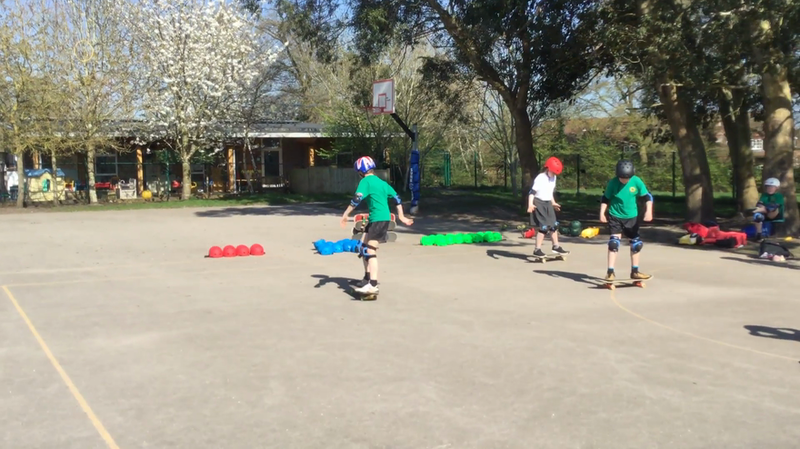 We were a team of mixed Year 3 and Year 4. Thank you Mrs Slater for taking us and thank you to all the parents for their support. 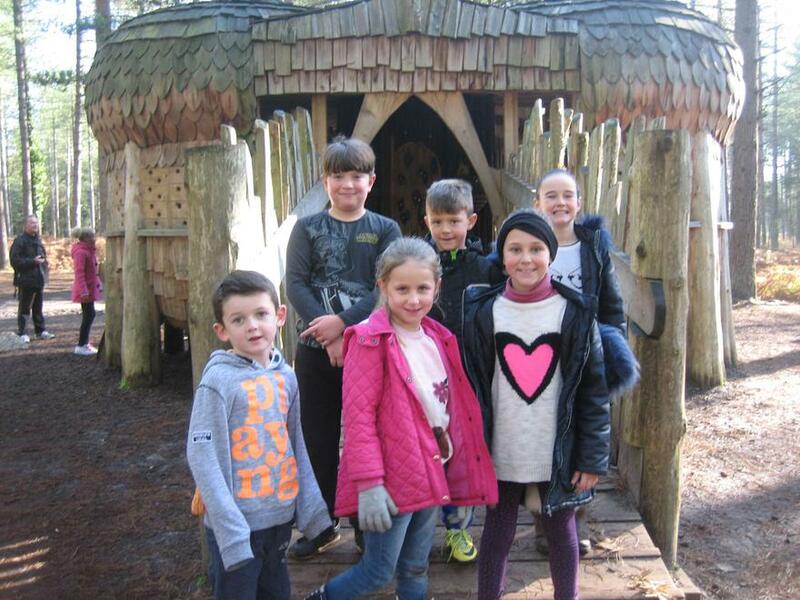 On Tuesday, 5th March 2018 Jessica B, Ebony B, Johnny D, Harry G, Molly P, Libby C, Aidan L, Ella H took part in Moors Valley orienteering and mountain biking event. 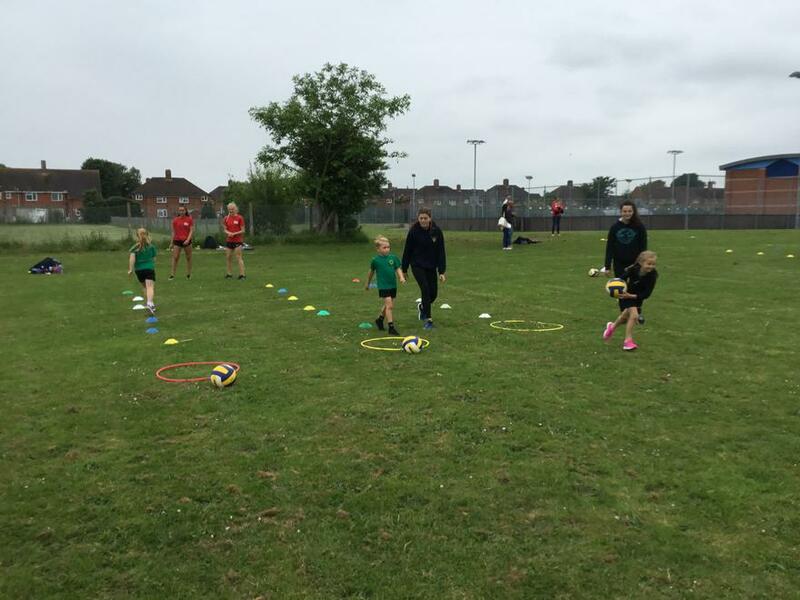 The schools that participated were: Christchurch Junior School, The Priory, Mudeford and St Josephs. 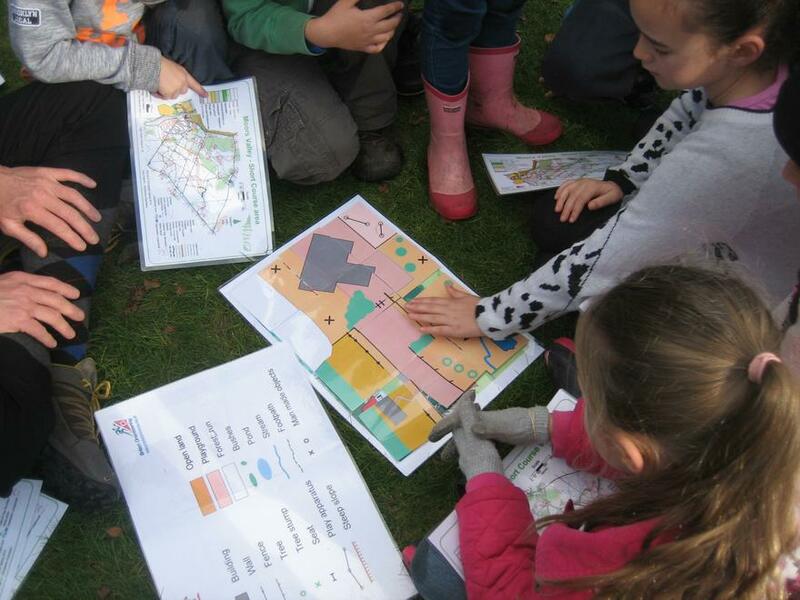 First St Josephs and Burton did orienteering. We did the exercise and then the real thing. We split into 2 Burton teams (boys and girls). Unfortunately the girls got lost in the woods and came 2nd to last. The aim of the game was to find the number 116 and had to give one person the bleeper. After that it was mountain biking, then it started to rain but we persevered through it. Luckily it wasn't a competition. 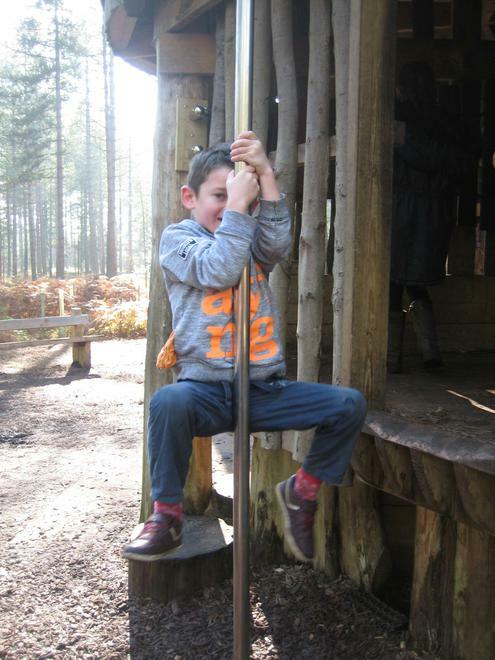 Thank you Mrs Slater for taking us we had a lovely time! 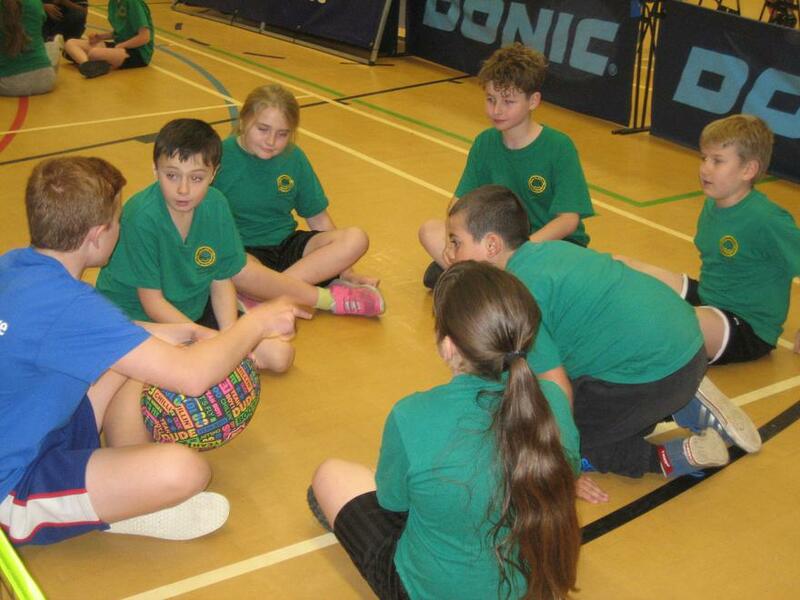 On the 21st of February, Burton School took part in a Tag Rugby tournament at Chapel Gate from 10.00am until 3.00pm. Thankfully the sun was shining! 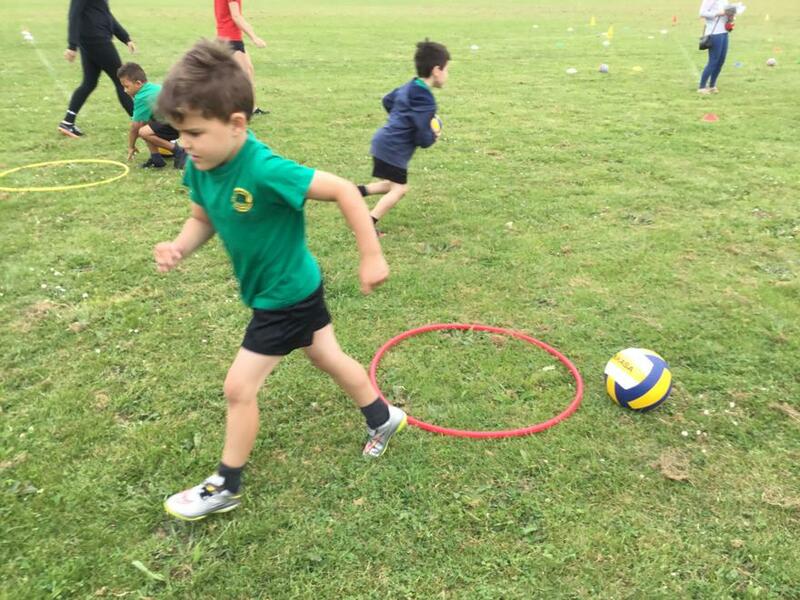 Rippa Rugby organised a fantastic tournament with about 28 schools taking part, that’s around 336 children!! We played 6 matches improving with every game. 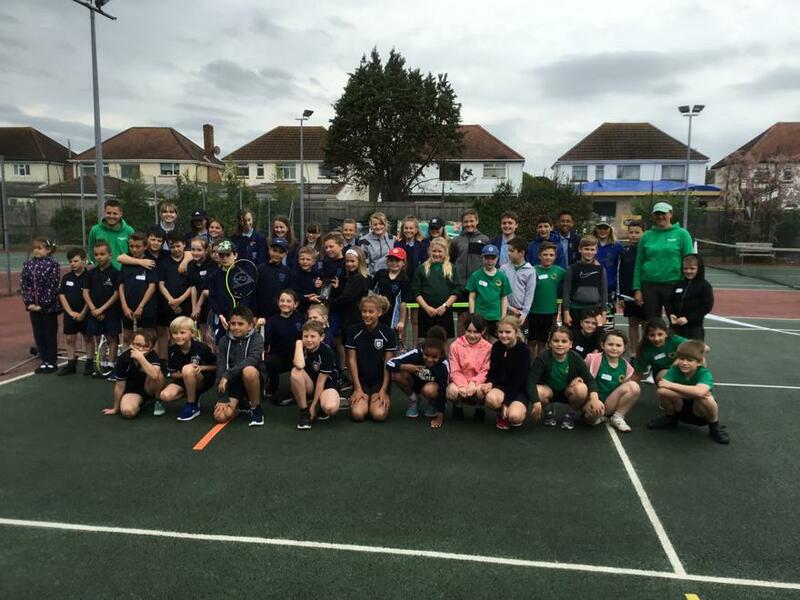 We played against teams from all over Bournemouth and beyond. 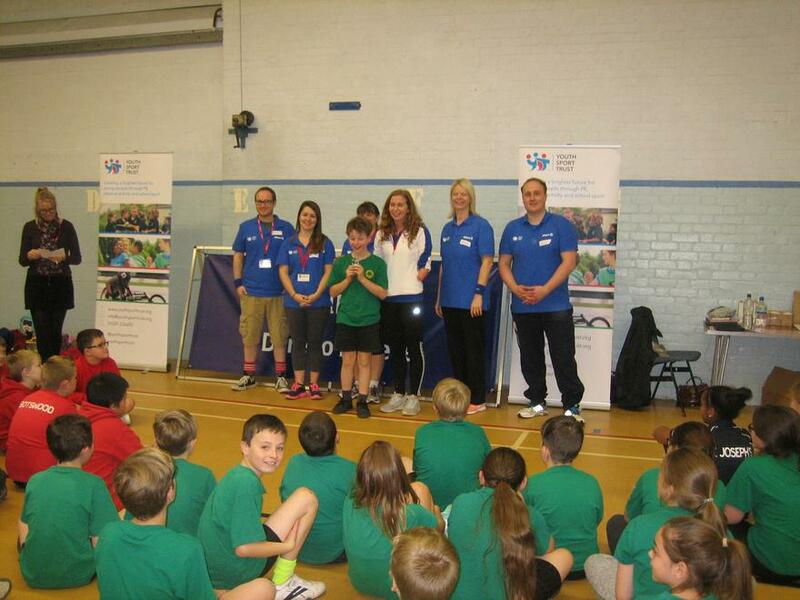 The winners were Heathlands School. 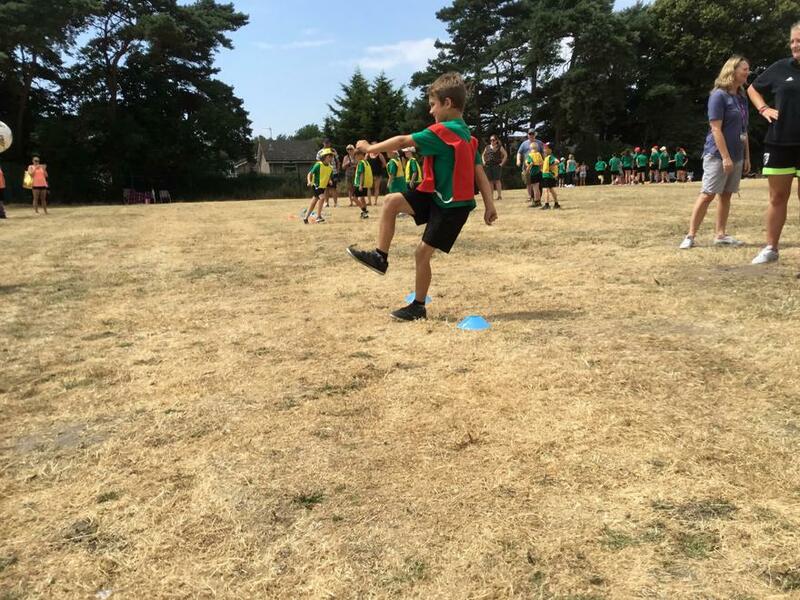 The teams were all scored on their discipline, respect, enjoyment, sportsmanship and teamwork, the rugby core values. 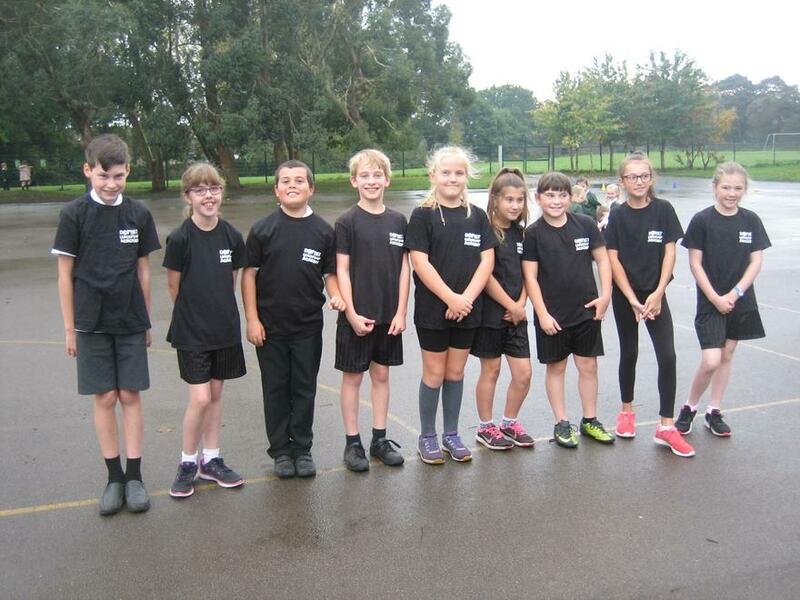 Well done to Sophie, Harrison, Bailey, Freya, Charlie, Noah, Freddy, Ruby S, Ruby H, Roan, Arnie and Rebecca who were excellent ambassadors for Burton Primary School. Thank you Mrs Slater for taking us. 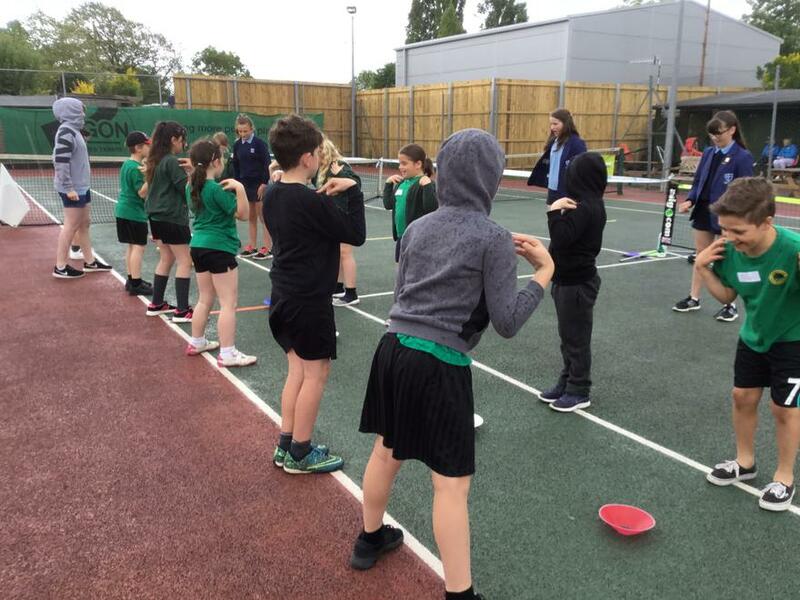 On Thursday 26th September, Burton School’s new Sports Leaders went to The Grange School to train. 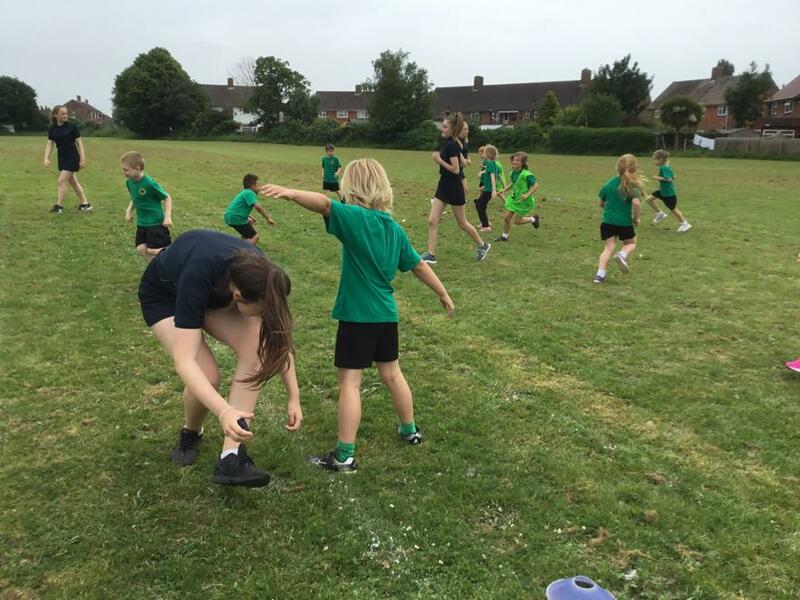 The people who participated were: Ella H, Sidney B, Kacey W, Harry Mc, Jessica B, Dylan S, Millie R, Johnny D and Rebecca D.
We played lots of games that were really fun like: The Human Knot, Traffic Lights, try and make your own game and lots more. 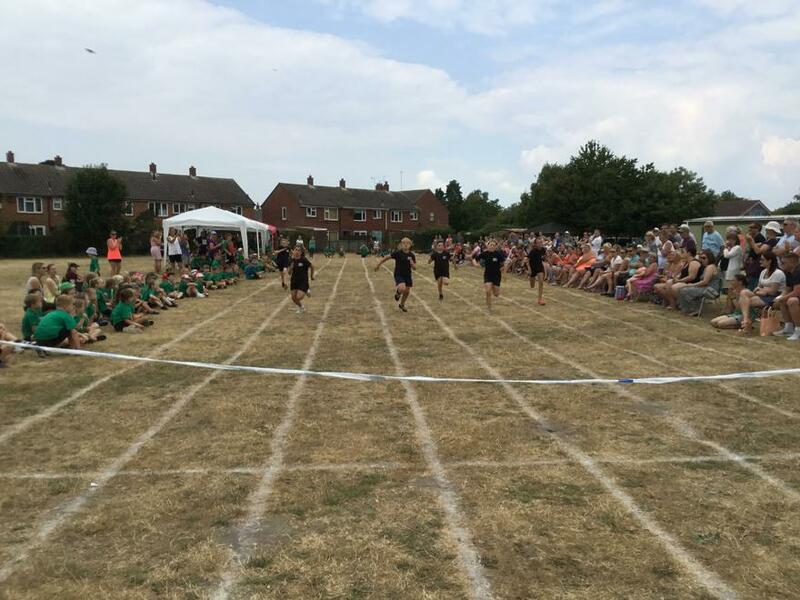 The School’s that participated were Burton, St Josephs, The Priory, Twynham, Somerford and Highcliffe. We would like to thank Mrs Slater for taking us. Well done Burton. 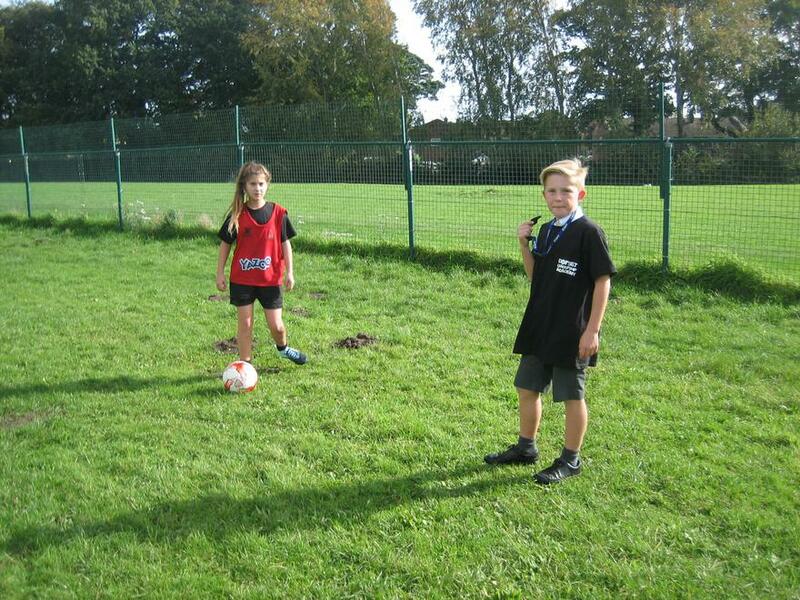 On Wednesday, 18th October the Burton girl’s football team played in a tournament at Mudeford Primary School. 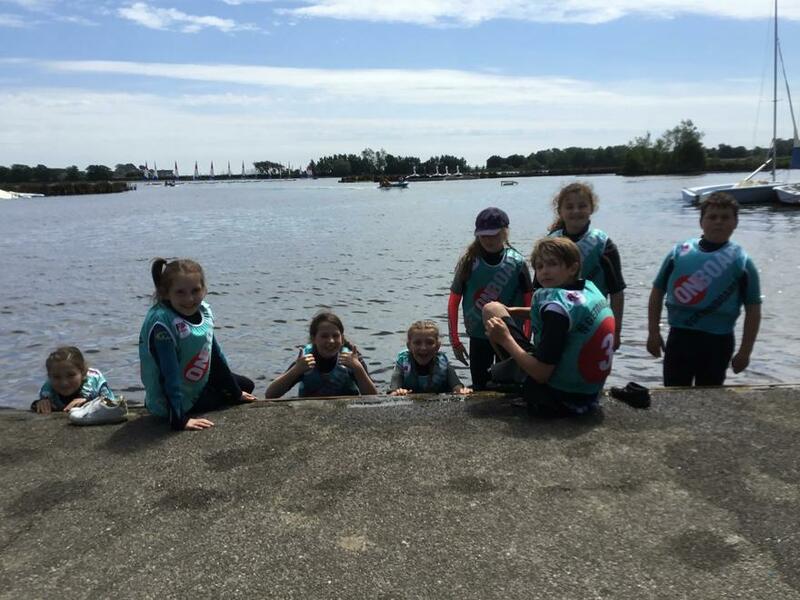 The first match we played was against Mudeford Juniors. It was an outstanding game but sadly we lost 1-0. On our second game we won 3-0 and Freya scored a hat-trick luckily we kept a clean sheet and Kelsey played brilliantly in goal. In the third game we played Highcliffe St Marks. Sadly we lost 2-0 but it was a tough game even though we tried our best. The last game we played was against Christchurch Junior and we played back a good goal from Scarlett and an epic assist from Freya (bottom corner). 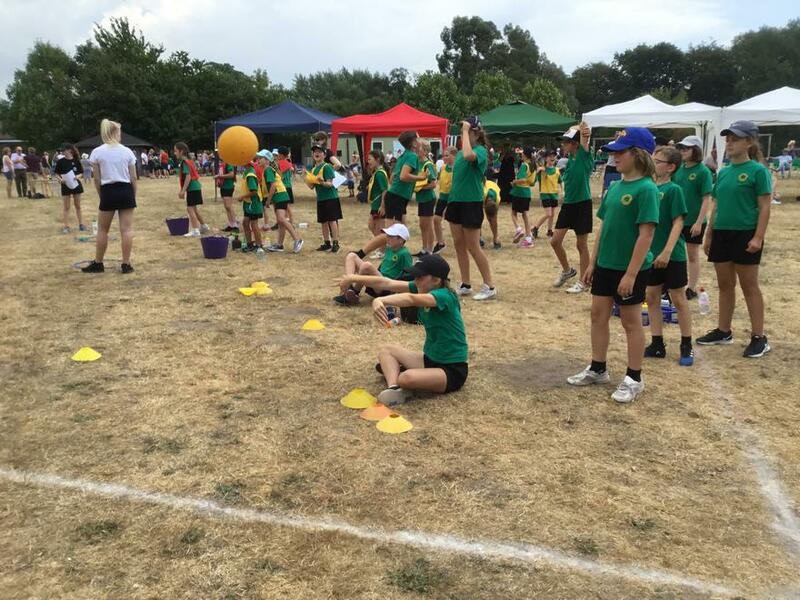 We would like to thank Mrs Slater for the support and the people who took part were: Ella, Rebecca, Bethany, Scarlett, Freya, Ava, Kelsey, Kacey, Ella and Jessica. We did well and came 4th overall. 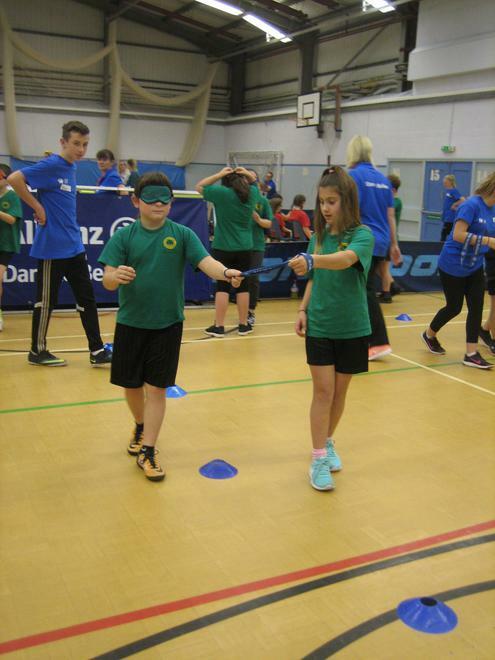 On Wednesday 8th November 2017, Burton School took part in an indoor athletics tournament against Somerford and St Josephs. 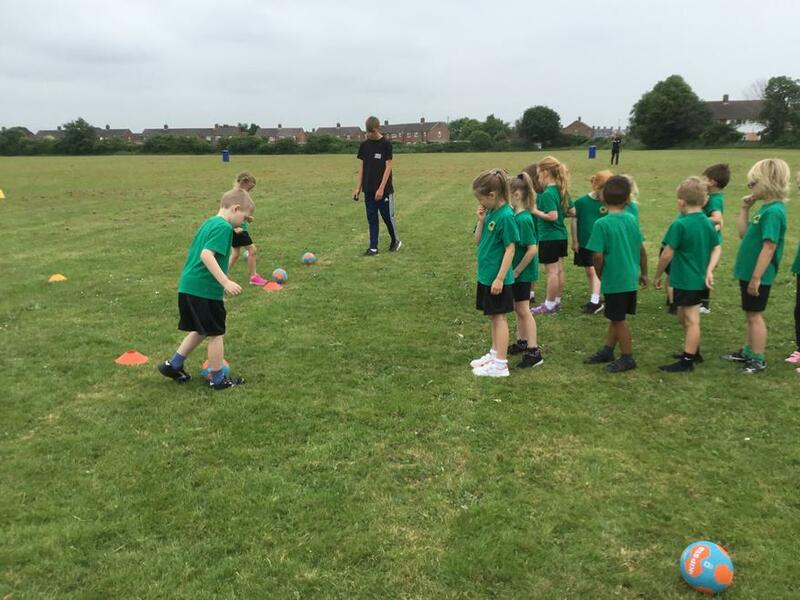 There was lots of different activities, the main ones were relay races, chest pass, soft javeline, vertical jump, long jump and triple jump. In the girls 1 x 1 relay we came second along with the boys. 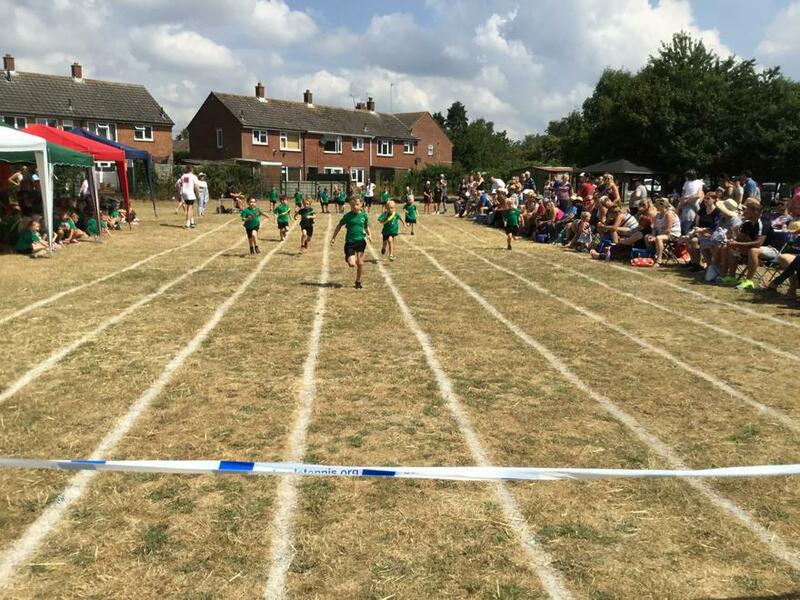 In the 2 x 2 the girls came 1st and the boys came 2nd. 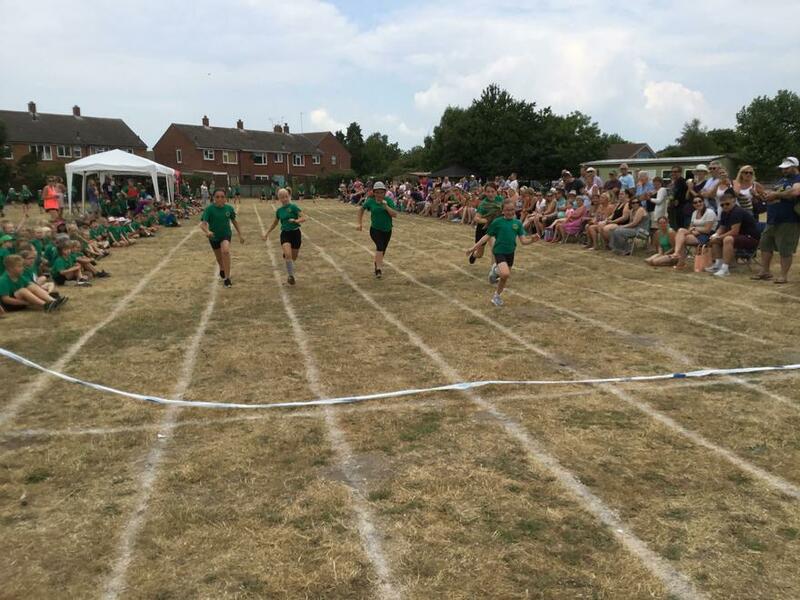 In the 4 x 1 relay girls came first and the boys lost unfortunately. 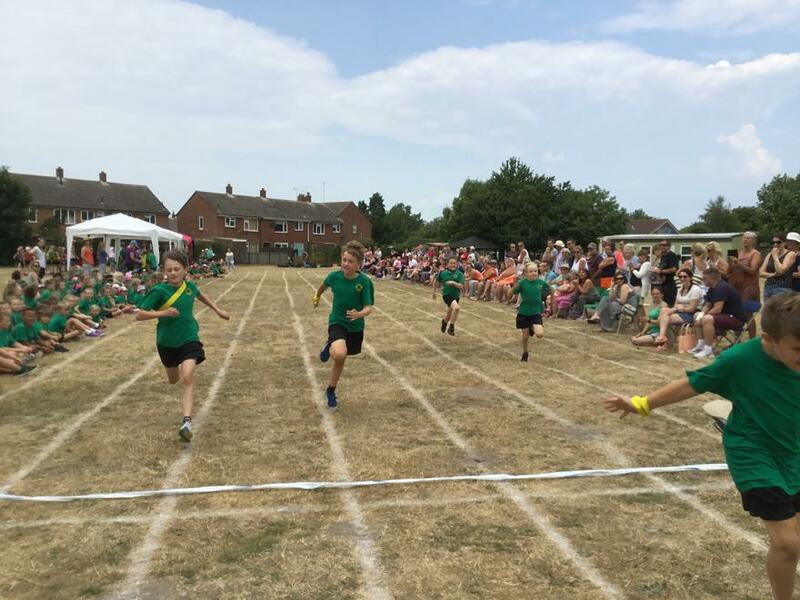 In the 6 x 6 relay the girls lost and the boys came 2nd. These were the track events. 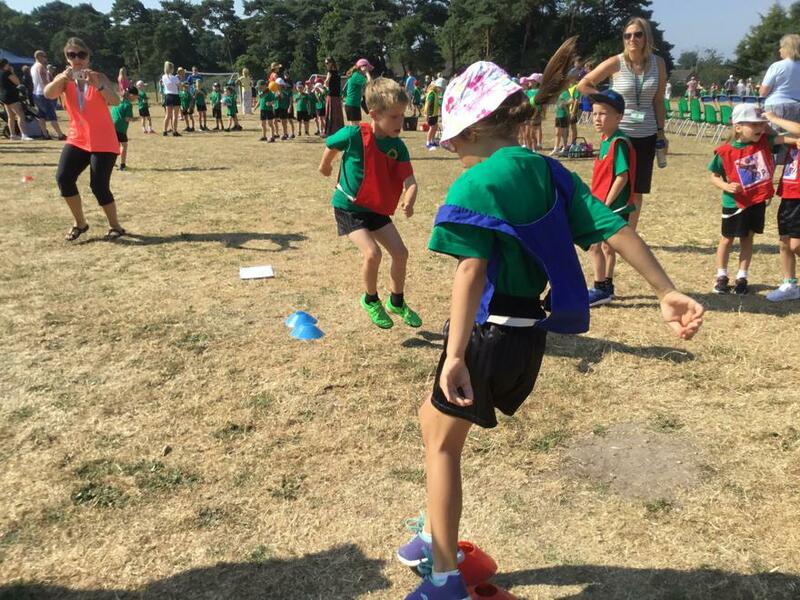 In the triple jump you had to do a hop, skip and then jump as far as you can. Both boys and girls did well in the standing long jump. We stand behind a line and jump as far as possible. 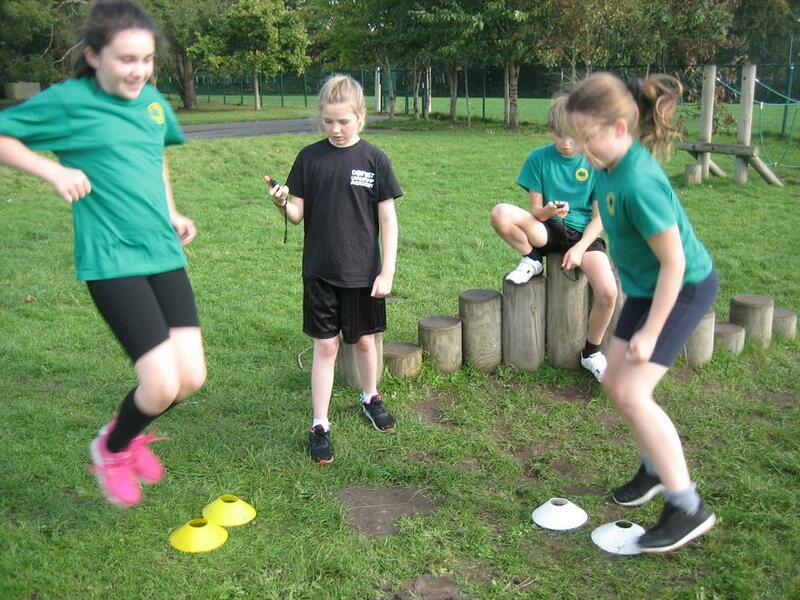 In the vertical jump we stand and then jump as high as we can. Altogether we came 2nd. 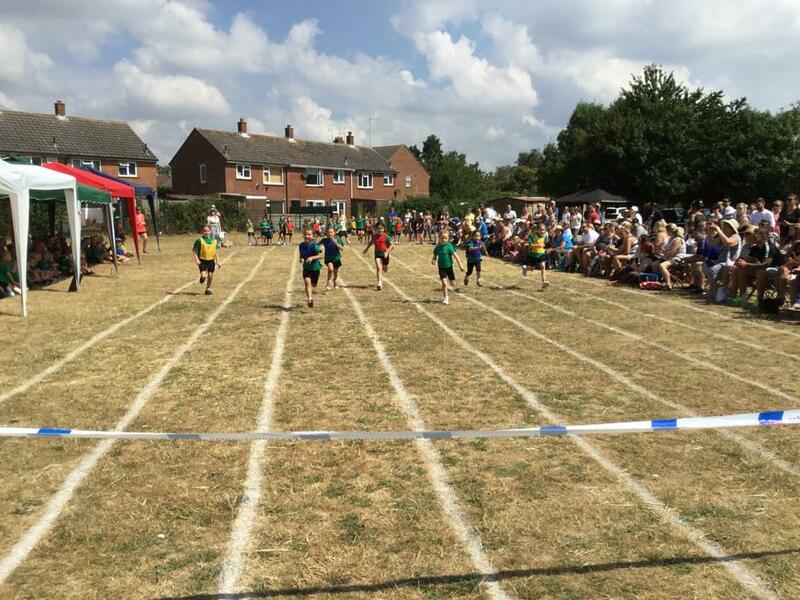 Everyone that took part did well. 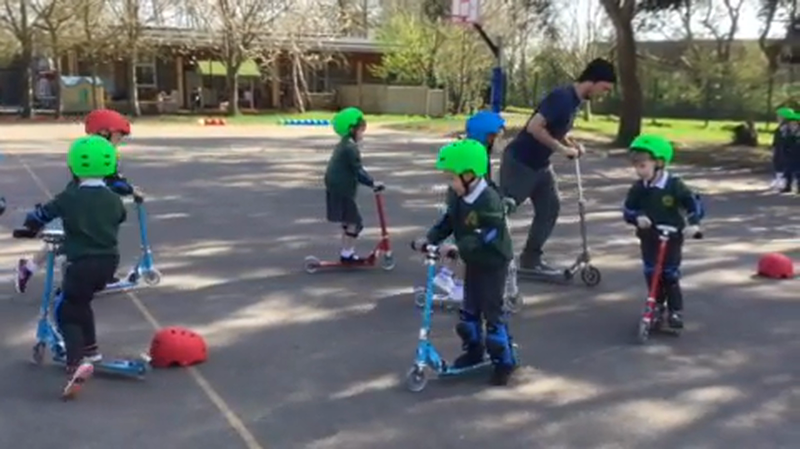 Thank you Miss Slater for organising this tournament and the transport. Well done Burton! 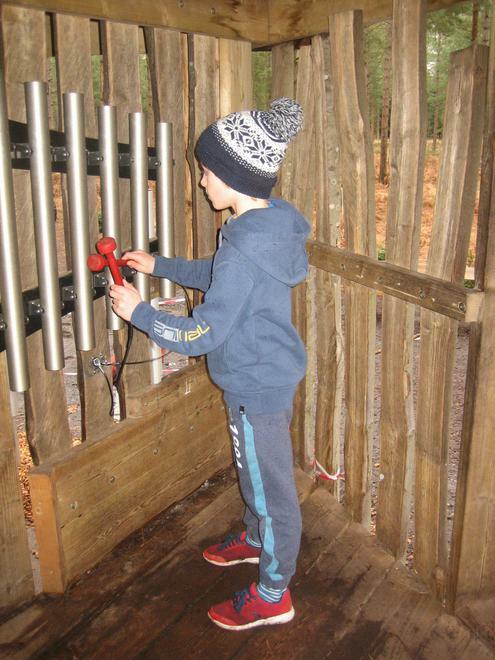 On Monday, 6th November 2017 we went to Moors Valley. 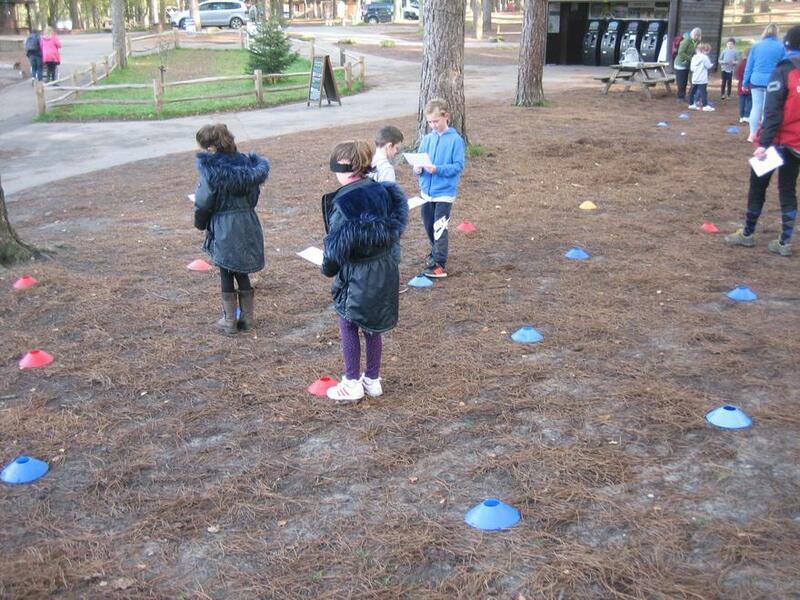 We did activities like: Mini beast hunting, finding out about Autumn and Map reading. 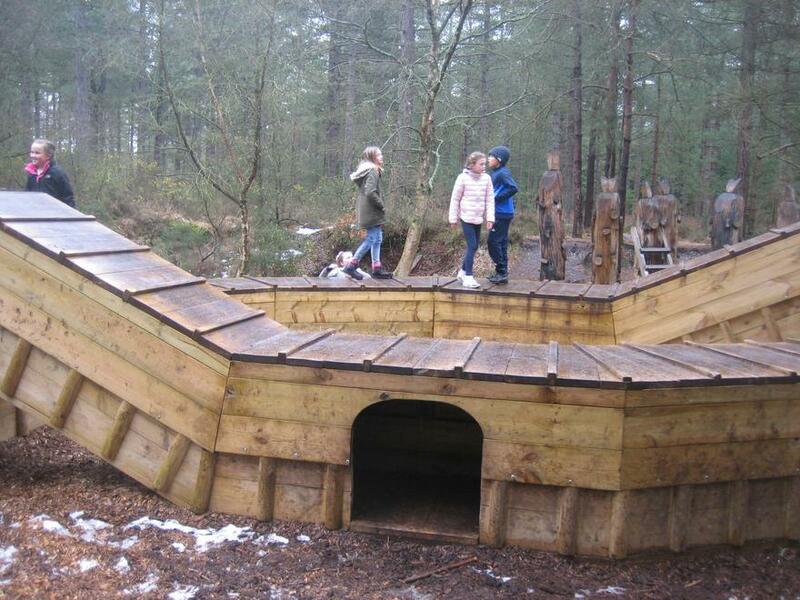 The people who went with us were Jack, Ava, Jake and Ellie. 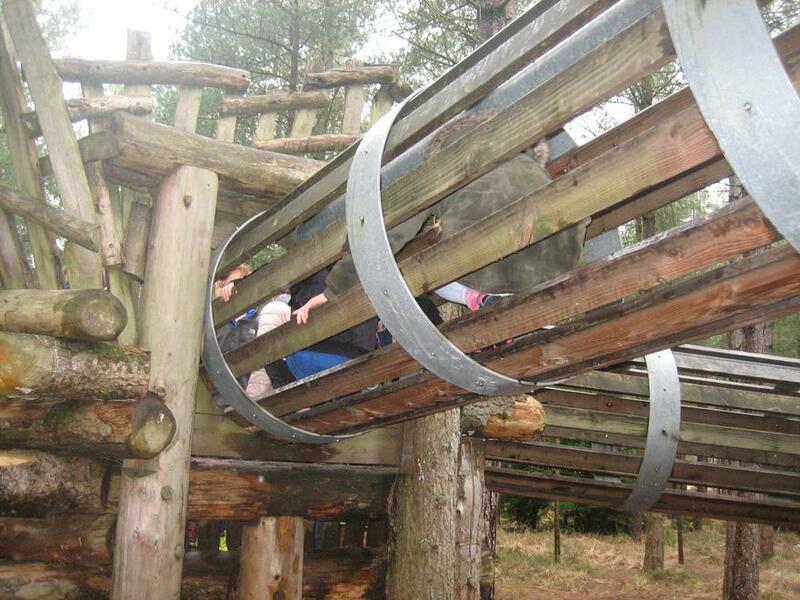 We had so much fun there climbing the spider web, making new friends and memories with other schools. 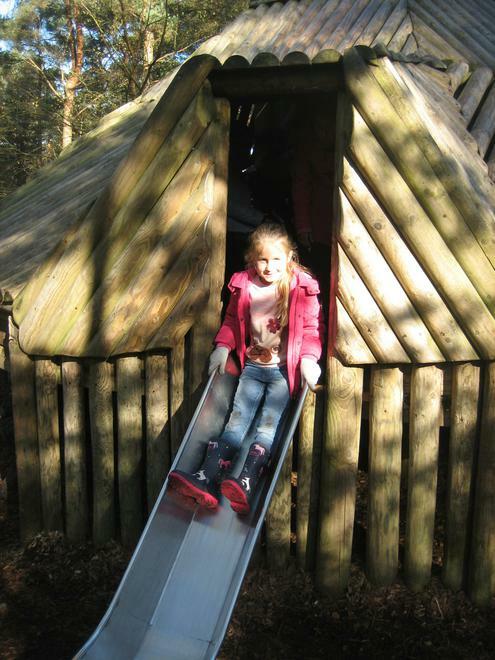 We would like to thank Miss Slater for taking us on this adventure to Moors Valley. On Tuesday 7th November we played in a 7v7 football tournament at Littledown leisure centre against all the other Christchurch schools. 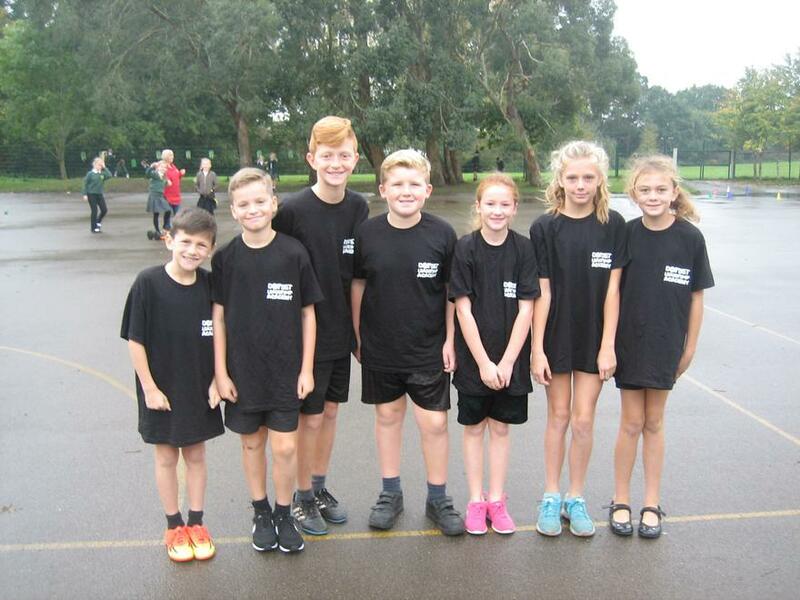 We took 2 teams and both our teams came 3rd in their competitions so well done to everyone who took part despite the pouring rain!